"Great staff, great location, great property." Have a question for Grand Hyatt Erawan Bangkok Hotel? "I love the location of this hotel ,shopping in Siam and central world is near by ." "The room is clean and huge." "It was nice experience the club lounge was great." 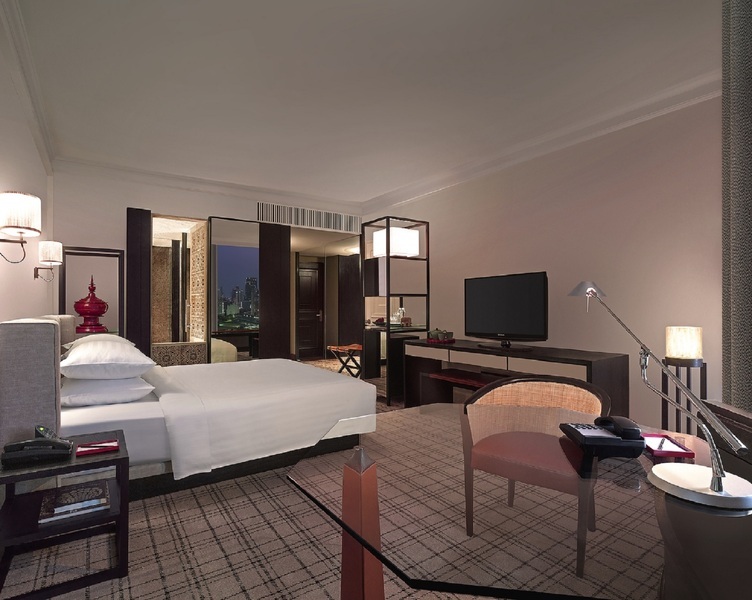 For exceptional service and an indulgent getaway, look no further than the Grand Hyatt Erawan Bangkok Hotel. 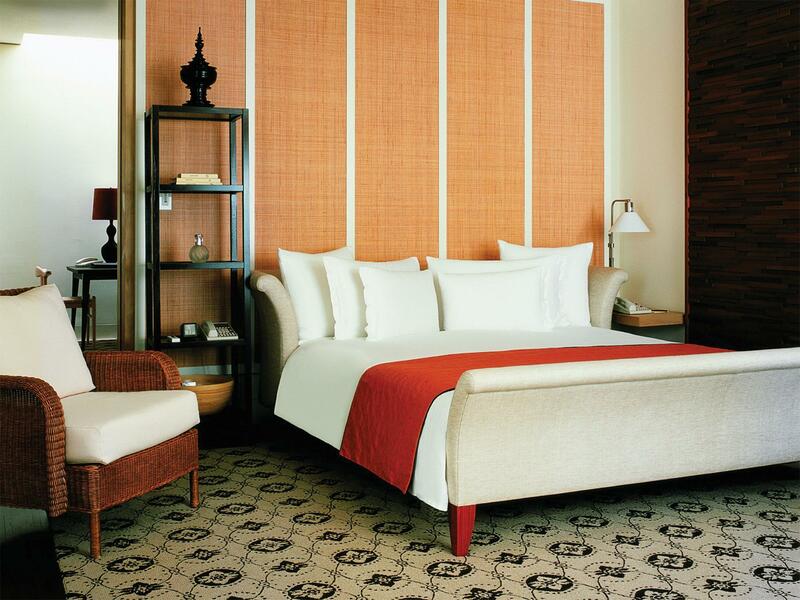 Rated 5 stars, the hotel is perfect for experiencing the ultimate comfort and luxury. The rooms at this hotel offer pool and city views for guests to enjoy, so you are bound to be peeking out at breathtaking scenery. The hotel is near Ratchaprasong Intersection Shrines, Erawan Shrine, RJ Uomo, Absolute Yoga, and Amarin Plaza. All of the rooms have free bottled water. The Grand Hyatt Erawan Bangkok Hotel has a fitness center, a tennis court, a garden, a spa, and ticket services among other fantastic facilities. This hotel has numerous convenient features, such as safety deposit boxes, a currency exchange, an infirmary, a salon, as well as a number of shops. The Grand Hyatt Erawan Bangkok Hotel offers an assortment of transportation options, such as airport transfers and shuttle services. The hotel has a bar, a grocery delivery service, room service, BBQ facilities, and a poolside bar, so there is a selection of dining and snacking choices. With Thai, American, and Asian restaurants in the area, you can enjoy different flavorful cuisines during your vacation. Enjoy a delicious meal at Soupe, Morsel Nest, Trio Cafe, BKK Bagel Bakery, Greyhound Central Chidlom or other eateries nearby. 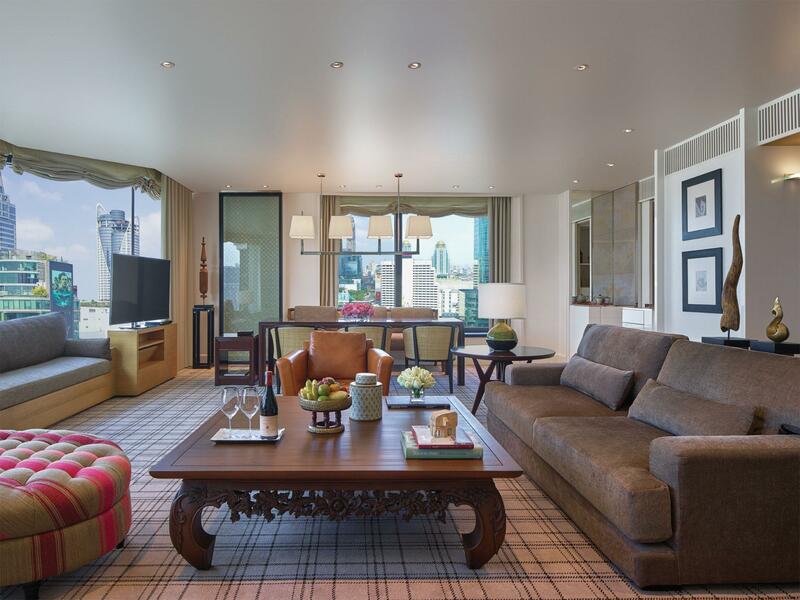 The Grand Hyatt Erawan Bangkok Hotel offers a range of useful services, which include a concierge, daily housekeeping, a babysitting service, and dry cleaning services. With tours available, the hotel is a great place to stay to learn about your surroundings and see everything you can while you're here. There are massage facilities in this area, so if you want to spend your day simply relaxing and unwinding, you can treat yourself like royalty. 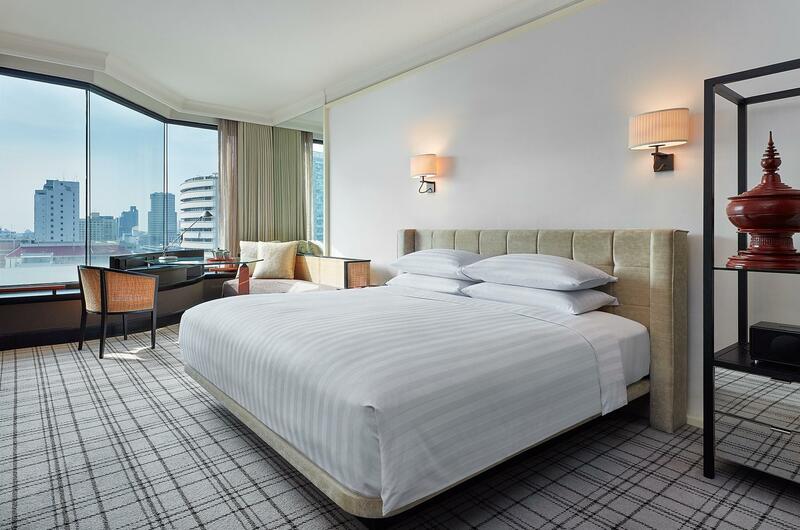 The Grand Hyatt Erawan Bangkok Hotel features express and private check in and check out, enabling you to conveniently choose the option that best suits your schedule. With an around-the-clock front desk, the hotel ensures that there is always someone on call to answer any questions you may have at all hours of the day or night. There's free Wi-Fi available in all rooms, as well as Wi-Fi in common areas, so visitors won't have to spend money on purchasing a local sim card. Check-in is offered from 02:00 PM and check-out is until 12:00 PM. The Grand Hyatt Erawan Bangkok Hotel is equipped with a kids club, keeping your children happy and entertained while you relax. This hotel is equipped with a kids swimming pool, keeping your little ones entertained and happy for hours. "Great hotel with great location"
My favorite hotel in Bangkok. The grand lobby hall is impressive and feels like a 'Grand' Hotel. Rooms refurbished and never feeling 'old'. For me the the new hotels just don't have this classy feeling! Have previously stayed at the Park Hyatt, but design is uninspired and feels like a high-class serviced apartment. Will always come back! Thank you Grand Hyatt for giving us a wondering experience staying here. We were blamed for an employee theft for the second time as they want to run my credit card for it before proving; This is after spending $2,000 in a suit for two days, and giving generous tips to all employees. All employees rush to get tips, and give very little. I had to threat with my lawyers and I will sue them as principle if escalates. This is the craziest experiences I had in twenty years. Old facility and smelly room. Buyers, be aware; there is an internal employee's gang ring going on. I think you can find safer and legitimate service providers in Bangkok via Agoda. This hotel is the real deal tuned by the real pros. All you need to know is your needs will be fulfilled; executive lounge is excellent and I strongly recommend to stay in lounge floor if one can afford it. The bar had charged E-Tax which is about 1500 Thai Bath without informing anything which never charge before. When I asked upon checked out they said this is for live band. I never have such experience that bar is charging for live band separately. Which is so so bad. I would like to commend the concierge and staff for coming to our rescue when a rouge taxi driver stopped us in the middle of the road and told us to get another taxi because he switched off his meter after turning out of the hotel and refused to turn it on when asked to. This establishment never let me down; i send many clients from out of the town and they all are treated well. It is a winner! Highly recommended! I like the hotel location because it is Walking distance to Chitlom And Ratchadamri Station. You are near Central world, Gaysorn, Amari Plaza and even Pratunam. If you want to go out because of the weather you can enjoy their superb facilities like the gym and outdoor swimming pool. While the hotel rooms are due for a refresh, this is a really good hotel. Excellent gym and spacious pool, excellent Thai restaurant (Erawan Tea House) as part of hotel but in connected mall. Amazing all you can eat deal where you order from the menu. Great location if you have business in the chit Lom area. Right on the sky train. Wine Bar 4994 also really nice to grab a drink. Club lounge not worth the additional charge. Would avoid that and just get a breakfast inclusive rate. Club level not particularly impressive. Smoking room was soooo smelly, but then, it's smoking level. But I've been to nicer smoking hotels. They used the cheapest toothbrush ever. It's Grand Hyatt, not the holiday inn express. I'm willing to pay US$5 more for a better toothbrush and toothpaste. I like the pillow selections. Very few room service selections though. I stayed here because of the proximity to the malls, as location is just next to Erawan Shrine. The only downside was I couldn't get a room with nice view as I requested for a smoking room. Room is a little smaller than I thought, but it was ok. Might stay here again next time. The hotel is next to the Erawan temple and within walking distance to Central World. The room is spacious and the service was incredible and attentive. Tried the lunch buffet there which is the best buffet I have had so far. Room is standard but nice design and clean. Restaurant is underneath hotel and close by have shopping center. hard to get taxi during noon. staffs were super friendly and helpful. overall it was a great stay. definitely come back again. We stay for our short family trip, we book a club room which is very value for money,they provide free extra bed for my child due to there was no twin bed room available on the date. The club floor breakfast is good. Great location. Fabulous F& B. Room was ready early and staff attentive. Only downside was my aircon thermostat that keep going to 30 degrees which made for a restless night. They fixed it in the morning, promptly, though. The best reason for me to stay Grand Hyatt Erawan is its location. It is 5 minutes walk to the BTS station and next door to its Erawan Four Faces God Therefore it is more expensive than other 5 star hotels. all fine in such a well doing Hotel, very nicely styled and really a pleasure to be there, Location is good, Close to public Transportation, and also nearby lots of Shopping opportunities like to come back there ! Location, overall staff service and breakfast buffet. Centrally located to the malls and also BTS. The room were recently furbished and it was tastefully done. Upon arriving, was truly welcomed by the staff from doormen to the check in desk, despite the commotion outside of the hotel during that time. The swimming pool and gym are definitely one of the best in town. The other thing which can be improved on is the breakfast buffet spread. To offer more variety for vegetarians, as most of the spread were all meat. I am not a vegetarian but would occasionally skip the meat and seafood.